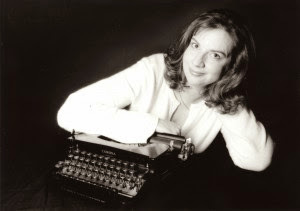 Eileen Cook is the incredibly well known and wonderfully talented author tons of YA contemporary novels, including favourites like GETTING REVENGE ON LAUREN WOOD and THE ALMOST TRUTH, as well as the popular middle grade series FOURTH GRADE FAIRY. 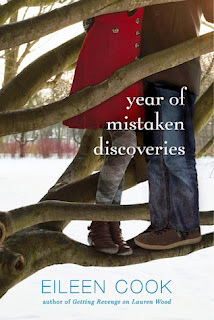 Her newest release was YEAR OF MISTAKEN DISCOVERIES and it released in February 2014! We are really excited to have her here today on the blog to impart on you lovely readers some of her worldly advice! In my former work as a counselor I worked with individuals to reduce and address conflict in their lives. I train them to use techniques to diffuse conflict and assist them in creating healthy, happy relationships. In fiction, unlike real life, the opposite it true: we want conflict. No conflict equals no story. Common feedback from editors or agents is that the story is missing enough conflict. So how do you increase it? The same techniques I use for counseling can be used in fiction, only instead of reducing conflict, they can provide a springboard to take your conflict to the next level. 1. Pick the Right Atmosphere: In real life you want to choose the right environment to have a difficult conversation. You want to choose a place where the individual can focus on what you are saying and not instantly feel defensive, trapped or uncomfortable. In fiction, try and have the conflict happen in the most uncomfortable place and time possible for your characters: in the middle of a school hallway, at work, or in the middle of their solo at the band concert. If your character is about to discover that their boyfriend is cheating on them, when is the worst time for them to get that news? Where is the worst place? Who is the worst person to tell them? 2. Address Issues Promptly and Clearly: While it is better for your relationships to address problem areas before they build up, in fiction a pressure build up is preferred. Let characters stew until they suddenly explode with emotion. Instead of stating clearly what issue you want to have addressed, have your fictional characters dance around the real issue. There is nothing like confusion to make conflict more difficult and increase the chance of misunderstandings. 3. Listen and Maintain Emotional Control: Instead of listening and reflecting on what is said, allow your characters to lash out, even before they might fully understand the situation. Because they are already formulating a response instead of listening, they increase the chance that they misunderstand what the other person is trying to say or do. Conflict is raised one step at a time, and the more emotional the characters become the more likely they quickly move up these steps. This increases the chance they will say something they’ll regret. 4. Avoid Accusations: In real life we encourage people to focus on the situation, not the people. Fiction should follow the opposite behavior. Characters should use “you statements” not “I statements.” You statements put people on the defensive, such as, “you always do this!” I statements are personal and less accusatory, “I feel hurt when this happens.” In real life we often confuse what someone does with what it might mean. We turn: “You didn’t invite me to go with you for dinner” becomes “you don’t want to be my BFF anymore, you want to hang out with them instead!” What meanings does your character put on things that happen? 5. Create win-win situations: In real conflict resolution situations we try to search out areas of common ground. This allows each party to gain something from the solution. In fiction, we want to keep our character’s focus on not what they have in common, but what sets them apart. If your character perceives giving ground means they may risk something, they will fight to win rather than compromise. What does your character think they might lose if they don’t win the conflict? Taking these top five conflict resolution tips and turning them upside down you can take the conflict between your characters to the next level. While this might make your characters miserable (at least until they get to their happy ending) it will keep readers turning the page. What a great idea for creating conflict. I'll have to pick my psychologist daughter for more like this. Amazing. I have had this book on my radar for awhile. I hope I can get to it soon. Great post. I linked to it for both my writing classes. Thanks. Great post, they'll come in handy for sure. Thanks for your post. I will add YEAR OF MISTAKEN DISCOVERIES to my Goodreads list.